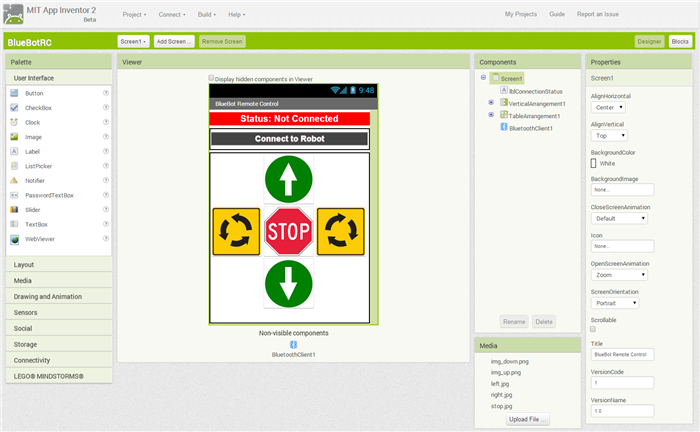 App Inventor provides a fast and easy way to build simple apps for Android phones and tablets. It is targeted primarily at those of us with limited, or no experience in Android development. 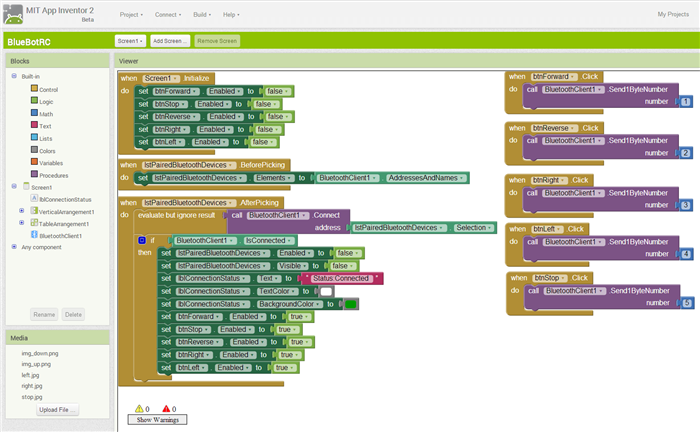 App Inventor has a fairly intuitive graphical interface, where you first visually design the application screen and then add the logic by dragging and dropping a series of colour-coded code “blocks” that snap together with a satisfying click, when connected correctly. What l like about App Inventor, is that you do not need to install and configure a full blown Android development environment on your computer in order to create a simple application. All you need to is to create an account on the App Inventor web-site and install the MIT AI2 Companion to your Android device. You design your app in a browser window and can preview and debug it in real time on your Android phone, syncing it up over a Wi-Fi connection. Once your app is ready, you build and download a compiled .apk file and can install it on your phone, upload it to Google Play, or spam all your friends with it. Note that App Inventor is now at version 2. If you are following unofficial tutorials online, make sure that they are for the new App Inventor 2, not the old (now called “classic”) version. Although the key concepts are the same (at the moment) you cannot import and edit projects done in the old (or “classic”) App Inventor into version 2. I found that the hard way recently, so save yourself some grief and pay attention to the versions. Of course, if you are interested in getting into professional Android app development, App Inventor is no match to the official Android SDK. You mentioned gyroscope, but last I looked, the AI2 only has an Orientation Sensor Component, not a Gyroscope Sensor Componenent. Please let me know if you used the Orientation sensor, or if you build a Gyro Component for AI2 ? I am interesting in this AI2 project continuance, and they may need good gyro support. I believe you are right, I have briefly tried the orientation sensor (which uses some sort of combination of the sensor data) . Could you kindly send or upload the arduino code so i could compare it with the app inventor 2 please? Look under the BlueBotSonar folder. Hope that helps, but a fair warning – I am not a coder by trade! I am trying your APP to control the movement of motors through HC-05 (interfaced with Arduino UNO). I am able to connect to the Bluetooth from my Android mobile ; but the while pressing the buttons, the numbers (1,2,3,4,5) are nor transmitted to the destination. I am a beginner to the App development. Please, do help.